Flex circuits are used in many different settings. 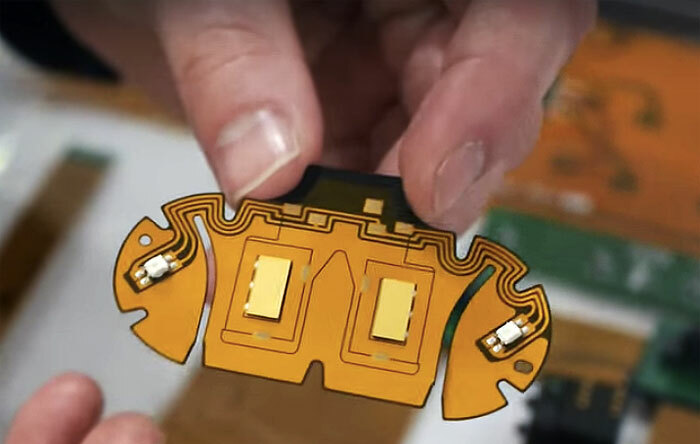 Similar to traditional circuit design, flex circuit designs vary based on the final form factor and required functionality of the end product. Here are just a few of the many products and uses of flex circuits available today or making their way for future development. 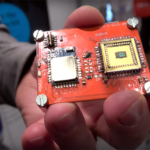 Sensors are the defining components of the booming field of wearables and IoT. The expansion of technology for monitoring individuals and their environments requires that sensors become less obtrusive, require less power, and work in increasingly smaller form factors. Flex technology can meet those requirements, and the proliferation of ubiquitous sensors will assuredly be supported by advancements in such technology. These sensors can provide a wide array of data depending on the type. Flexible pressure, gas, temperature, biological, humidity, or light sensors, for example, cover a vast range of variables for monitoring. Flexible circuits are particularly adept in the field of medicine due to the need for monitoring devices to accommodate movement of body. 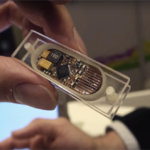 This patch oxygen sensor from Flexible Circuit Technologies measures oxygen levels of patients in real-time, providing physiological functioning feedback to medical personnel when patient monitoring is crucial, such as in surgery. UC Berkley is developing a smart bandage that uses electrical signals to detect changes in skin conditions before they even become visible. The bandage is comprised of an array of miniature electrodes printed on a flexible substrate. The technology could help to prevent bedsores from developing by indicating if there are adverse tissue changes before the damage reaches the surface. Tacterion sensorskin can make any surface touch sensitive with its highly stretchable sensor-laden silicone polymer. The capacitance-based version (sensorskin C.) is so highly sensitive that it does not even need to be physically touched to register interaction with the sensor. With this technology, any 3D surface can become a writing instrument or control device for other electronics. 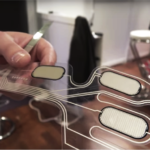 The sensory layer can also be integrated into smart garments or wearable devices. Though smartwatches and wearable wristbands have become extremely popular, the screen size restriction on their rigid display has limited user satisfaction and display functionality. Flexible technology is making wrist-worn displays that contour around the body possible, effectively increasing the display size. 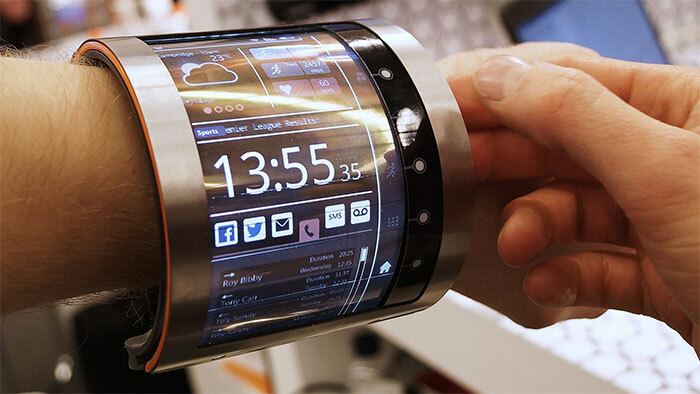 FlexEnable has an OLCD (organic liquid crystal display) screen prototype that utilizes plastic transistors to achieve enough flexibility for wrist-worn functionality. While still an engineering concept, Lenovo has demoed a bendable wrist phone with OLED display. The design uses a series of hinges to allow the device to wrap around the wrist while maintaining sections in between the hinges to house non-bendable components. 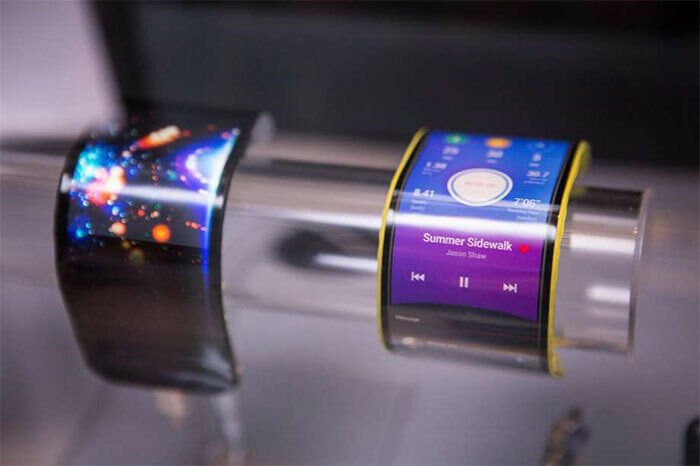 In 2014, Plastic Logic Ltd. won the won the OLED Innovation Excellence award from the Global OLED Congress for its flexible plastic AMOLED displays. The technology is based on a proprietary organic thin-film transistor (OTFT) array and has a bend radius of 0.75mm. 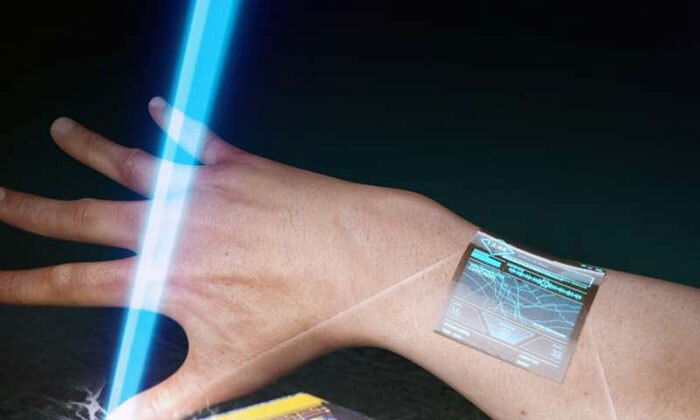 Future displays may even become wearable in the sense they could be attached to skin or to clothing. Researchers from the Korea Advanced Institute of Science and Technology (KAIST) have recently published findings on the development of ultra thin and transparent oxide thin-film transistors (TFT) for a wearable display. The team utilizes an inorganic-based laser lift-off (ILLO) method to separate the transistor array from laser-reactive substrate upon which it is built. The separated high-performance oxide semiconductor is then transferred to an ultra-thin, highly transparent plastics substrate. The array can be transferred to other flexible substrates, highlighting its application as a wearable display. While it is clear this technology is still being developed and polished to be mass production ready, the shared prototypes offer a glimpse into the future of wearable full-sized mobile displays. Flex electronics pair extremely well with textiles, as they provide a durable flexible substrate to integrate the circuit with. Cloth garments also provide a form factor for sensors to be less obtrusive or visible. Holst Centre, an independent R&D center, has an extensive and varied line of smart garment concepts in development for partnership manufacturing opportunities. 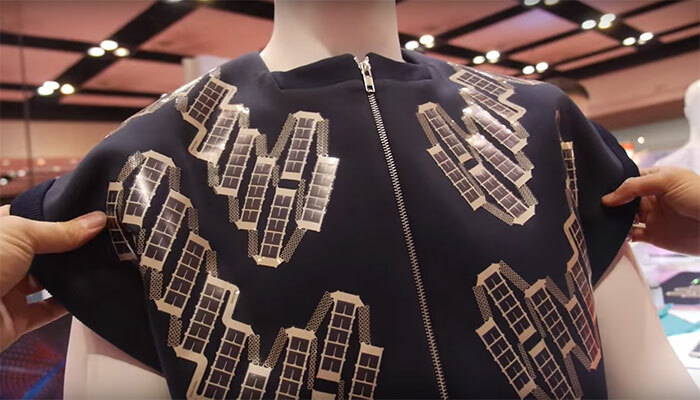 Prototypes include a garment with an integrated wearable display, one with attached solar flex circuits capable of charging a phone, an LED-laden garment for wearable light fashion, and an athletic garment with built-in sensors for heart rate monitoring. As solar cells become lighter and more flexible, ordinary or irregular surfaces can be turned into power-producing real estate. South Korean researchers have been able to produce photovoltaic cells about 1 mm thick that can wrap around a pencil without losing functional integrity. 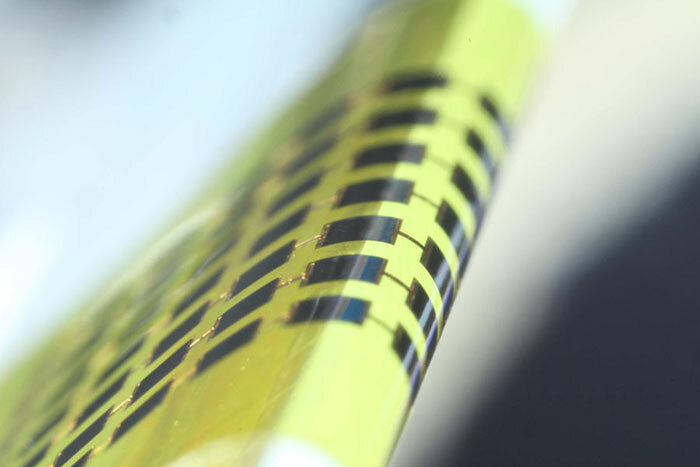 The extremely thin design (thinner than average human hair) was achieved by attaching the solar cells made from gallium arsenide directly onto a flexible substrate without the use of adhesives. The cells show promise for use in powering wearables, gadgets, and sensors which need a sustainable power supply compatible with their small design. Technology is stepping out of its traditional rigid-body design into a future of flexible form factors. 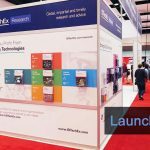 The advancement of flexible technology will offer new functionalities that were not previously possible with inflexible designs, especially in markets like medicine, wearables and IoT, sensors, and smart textiles. Flexible technology is paving the way to provide the power, structure, and processing for the envisioned world where our bodies and our lives are continuously monitored to enhance our experience. 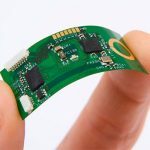 With the amount of research attention and financial investment focused on flexible electronics, their widespread dispersion is coming just around the bend.